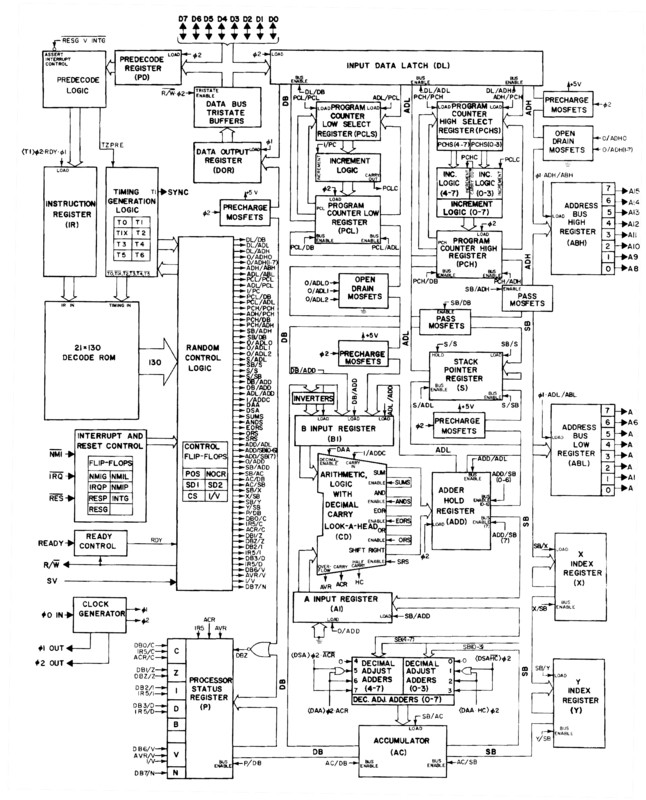 "A block diagram for the 6502 microprocessor is shown in Figure 3. This was drawn to correspond to the blueprint." Cleaned up version copyrighted 2011 on the author's website. "This is the result of work done in 1982 from the blueprint of the 6502 microprocessor"